Futuristic Drunk with design notes. 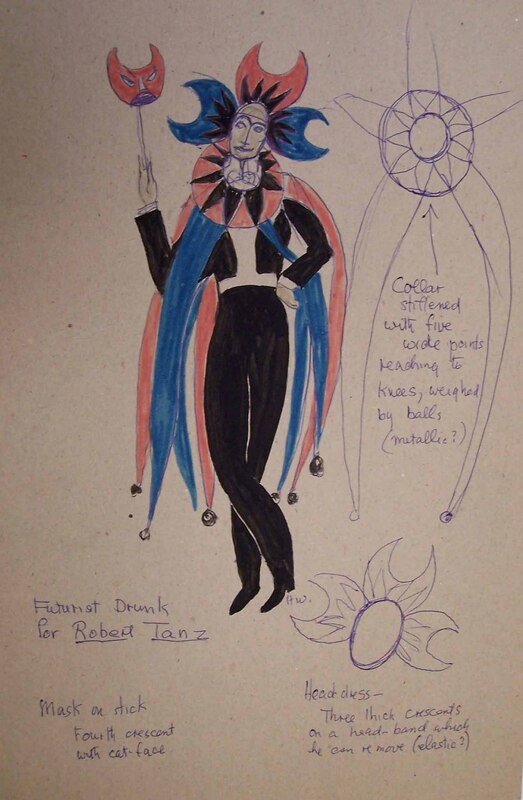 Male character wearing jester like outfit over black suit. Headdress with five wide points in blue and red. Carries face mask.